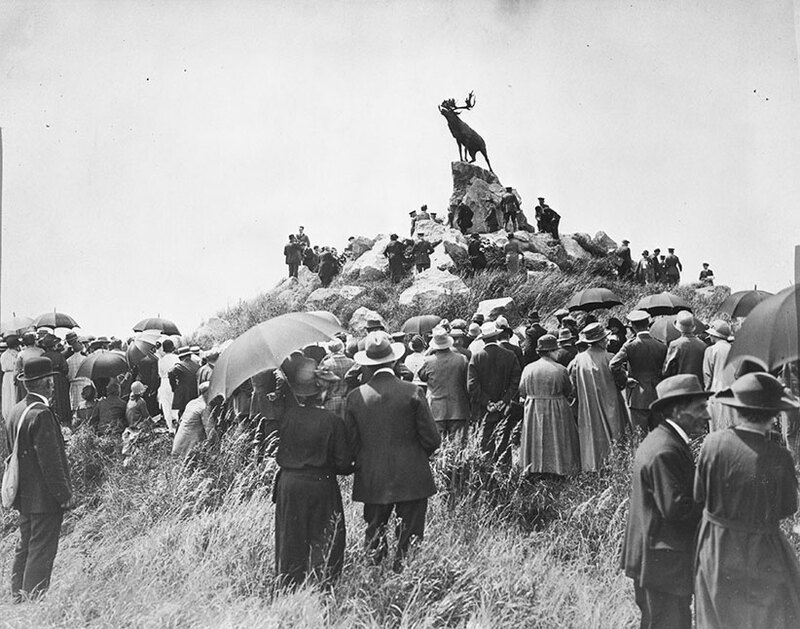 Opening of the Newfoundland Memorial Park, Beaumont Hamel, France, 7 June 1925 / Central Press Photos, The Great War photograph collection. William F. Stewart is the author of “The Embattled General: Sir Richard Turner and the First World War” and a historian with a particular interest in the Canadian Expeditionary Force’s involvement at the Somme in the late summer and fall of 1916. 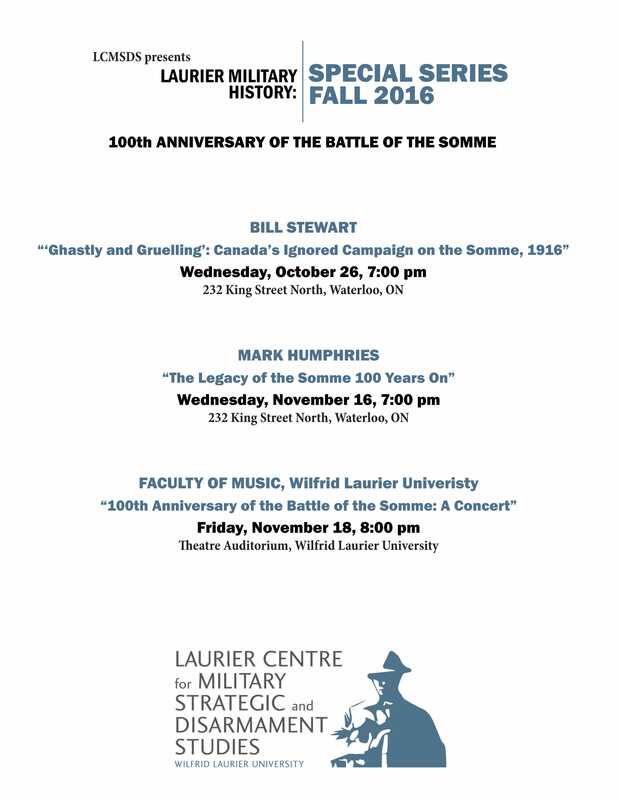 The talk was held at the Laurie Centre for Military Strategic and Disarmament Studies and this organization is also heading a series, in which this talk was one part, about the Somme battle and the Canadian involvement in it. Please note that the next presentation will be by Mark Humphries on Wednesday, November 16, 2016 at 7:00 PM at the LCMSDS. The event was well attended and Mr. Stewart’s presentation was very well received. It was very valuable to go and see the extensive work and research he has done for his book and his level of expertise and knowledge is evident. The work that I have done on the blog and the Somme is a pittance to his work but, having acknowledge I am no Bill Stewart when it comes to Somme Canadian military history, I can share with you that working and reviewing the 4th Canadian Infantry Brigade’s war diary and appendices for September 1916 gave me valuable insight and appreciation for the work Mr. Stewart had done in writing his book and the preparation for the talk. Mr. Stewart’s focus and objective was to give his audience a better appreciation for the Canadian contribution at the Somme and it place in Great War history. Thematically and ethnologically, the Somme is not a battle that is part of the Canadian radar. The focus on Canadian Great War history is the victories of Vimy, Passchendaele, Cambria, and the Last Hundred Days, to name a few. The manner in which the United Kingdom and Newfoundland have commemorated and recognized this campaign is in stark contrast to the recognition and work done by Canadian scholars and the Canadian public at large. The Somme is an unknown battle to Canadians, except those in Newfoundland. Mr. Stewart was able to encapsulate the broad implications and actions of the battle in a context that was made easier to understand with effective maps, charts, and explanatory graphics which served to illustrate and expand on the information being presented. 83% of the officers (that SURVIVED) at the Somme served at Vimy. 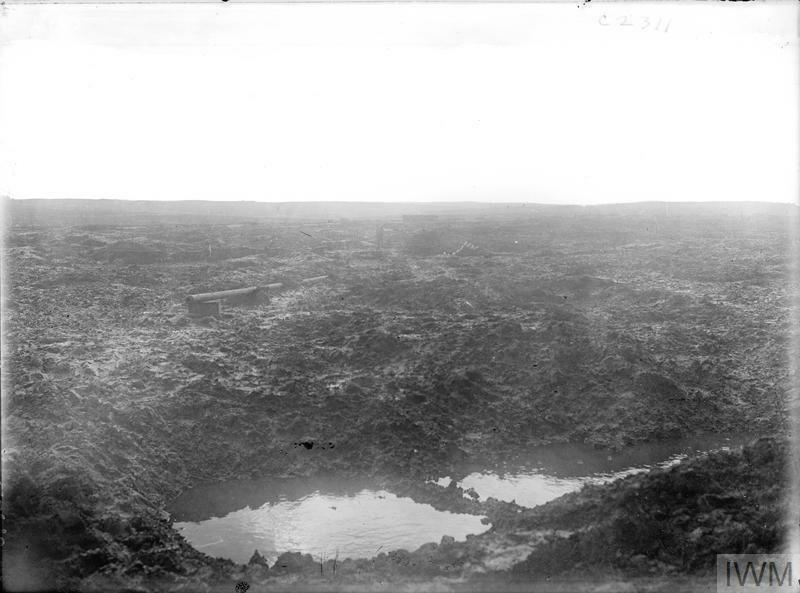 The experience at the Somme gave the C.E.F. experience and allowed it to work and innovate several solutions to battle problems. Pooling of specialist resources, such as machine gun companies (Vickers Machine Guns). Artillery problems with cutting barbed wire; counter-battery fire; artillery registration and control/spotting using aviation resources. Signal system (see graphic below) preventing accurate, timely, and relevant information from the line to the battalion to the brigade to the division to the corps. One example: Canadian troops enlisted and trained on the Ross Rifle until they came into the line. They were then issued a Lee-Enfield SMLE and had never fired this weapon in training. Command policies that changed to allow proper reset, refit, replenishment of battle formations. The C.E.F. lacked Corps level experience in an integrated arms approach to combat at a Corps or divisional level. The C.E.F. needed to learn to utilize logistics, artillery and the other combat support arms to effect victory in a battle space. Artillery was the dominant arm of the army. Only 1 in 6 infantry attacks that were unsupported by artillery were successful. The Canadian experience on the Somme was also difficult in regards to the human cost (as can be seen by the 18th Battalions September dead) with casualty rates (wounded and dead) of all ranks amounting to 51% during the Somme battle. 74% of officers were casualties and 55% of soldiers that were killed in action have no known grave. Further, the ratio of wounded to dead for the C.E.F. during this conflict was 3 to 1. During the Somme it was 2 to 1. Author’s Diagram. First World War generals have received much criticism for their conduct of battles, but these critiques often overlook the limited means of command and control at their disposal. Later in the war, commanders spent less time groping in the dark trying to discern developments at the front. A topic worth further discussion is what changes in technology, tactics, and training allowed for greater control? This was one of the graphics from Mr. Stewart’s presentation (source) which shows the geographical relationship of the flow of communications from the front lines to the rear echelons of command and control. At this stage of the C.E.F. experience a great reliance on runners was the norm and in the cataclysm of battle the survival rate of runners was very low, and as outlined by Mr. Stewart, the relative featureless nature of the terrain of the Somme, made the route finding and location of units and command centers very challenging. Message: I have personally been to half way trench, our parties well dug in and still working. Must have more Colt guns for half way trench. Could only find one. Following report from final objective 11.35 am. Have almost consolidated, front line trench is good, about 60 prisoners taken in advance of final objective – Corporal Manley[ii] 18 C.I.Bn destroyed T.M. [trench mortar] weighing two tones. We have two Lewis Guns in front line and town in advance. Only two officers in front line, remainder casualties as far as I can learn. Reported but not confirmed Loghrin, McKeough, Barnes, Mund, killed[iii]. Morris[iv] severely wounded (I saw him in Sunken Road). If we are holding tonight must have more Lewis Guns, Colt Guns, and Officers, and men for support. Only One Officers left with A Company, half way trench. I got a Boche M.G. In MARTINPUICH read but could not bring it in too heavy. Your 309 will be answered as seen as I have necessary information. Heavy shelling around Battalion H.Q. 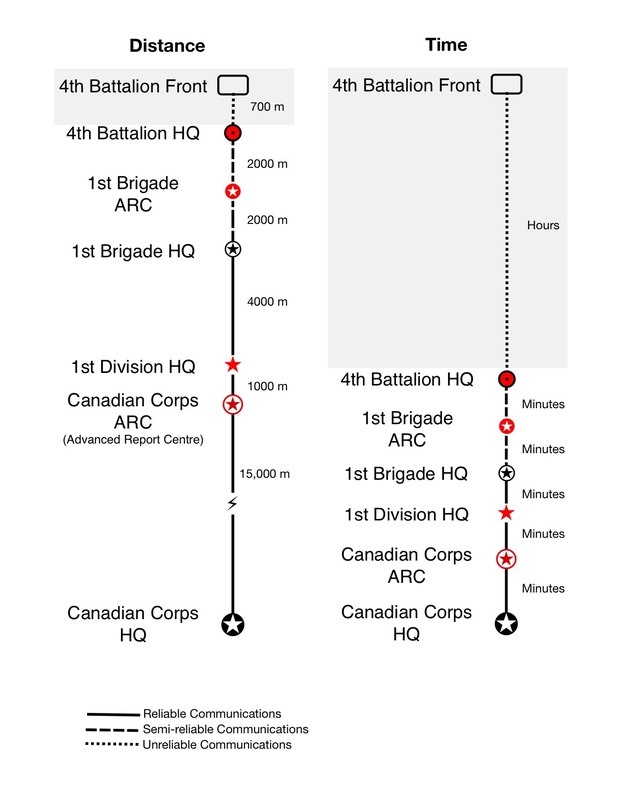 This communication from the 18th Battalion to the 4th Canadian Infantry Brigade shows the one hour delay in reception of this communication and the losses of officers to the Battalion. It appears the message took one hour if one uses the reference of 11:35 am in the text and compare it to the time of reception of 12:32 pm. The talk was valuable and informative and I look forward to Mr. Stewart’s book on the Canadian involvement at the Somme, which will be coming out next summer. The information was well presented and accessible to people that have an military interest without being to technical to hamper the audiences understanding of the material though it would be recommended to have some background of the battle. Sadly, and Mr. Stewart is addressing this with is talks, articles and book, Canadian sources about this important and evolutionary battle experience for the Canadian Army at this time is lacking and Mr. Stewart and others are trying to address this hole in our Canadian military heritage.